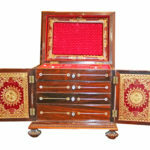 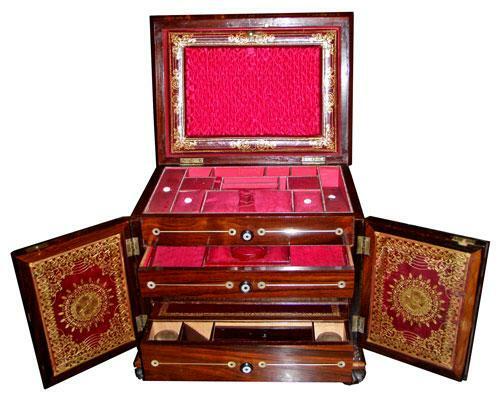 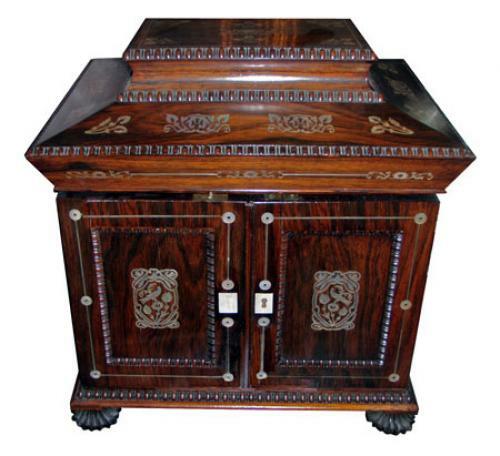 A 19th Century English Rosewood Valuables and Jewelry Travel Box No. 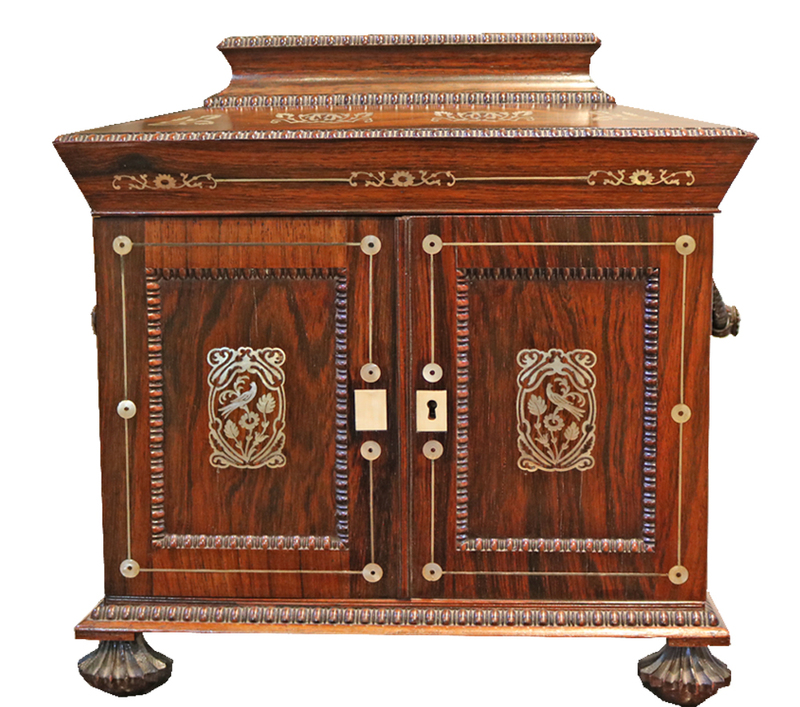 3882 - C. Mariani Antiques, Restoration & Custom, San Francisco, CA. 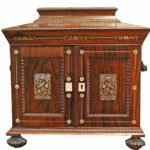 Height: 14 1/2"; Width: 13 1/2"; Depth: 10 1/2"